Here’s the choice: your dead body is sent by the funeral home in Puerto to Oaxaca to be cremated, a) folded up in a bag, b) in a coffin. Price difference, 6,000 pesos. But wait, why did you choose cremation? Maybe you want your ashes buried in the family plot in the U.S. or Canada or some other place. Fair enough. But if you were thinking of expense or the environment, you might want to reconsider. 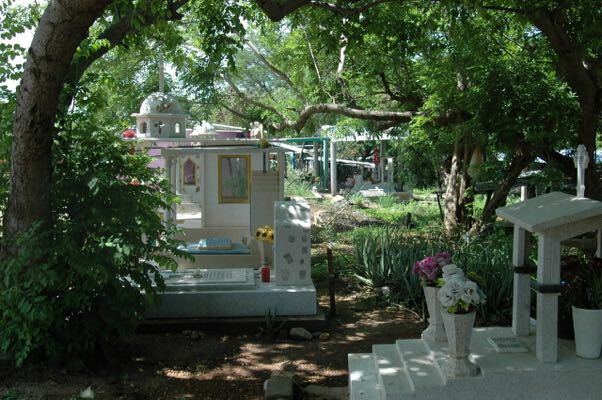 A funeral plot in Colotepec’s two cemeteries is free, as in no charge. 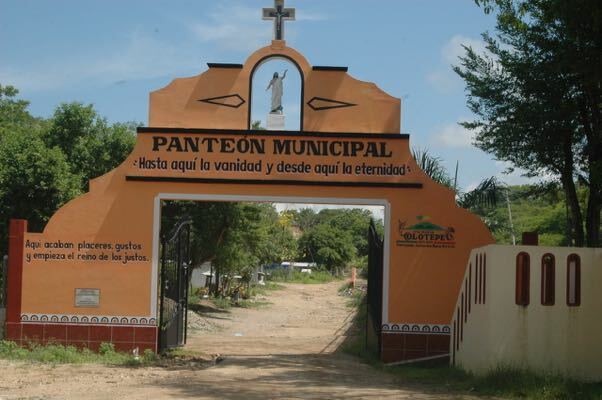 It doesn’t matter if you died in the part of Puerto Escondido that belongs to San Pedro Mixtepec. For a few thousand pesos, your coffin is buried and you rot away. I’ve heard that up until a few years ago, the graves were dug deep and had a dirt foundation. Now, they aren’t so deep and have a cement base. Cremation, on the other hand, involves a very hot, energy consuming fire. And it requires more paper-work than burial does. 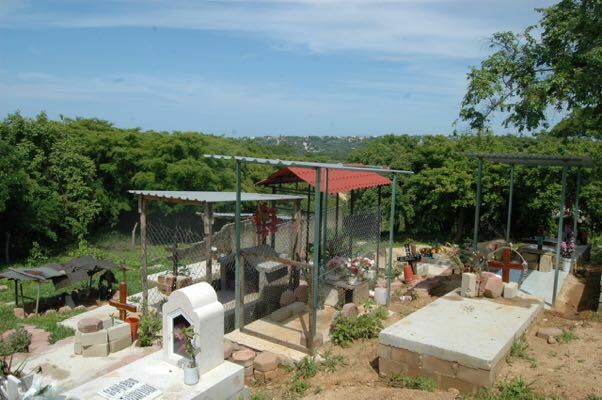 The Puerto Escondido cemetery has run out of space. 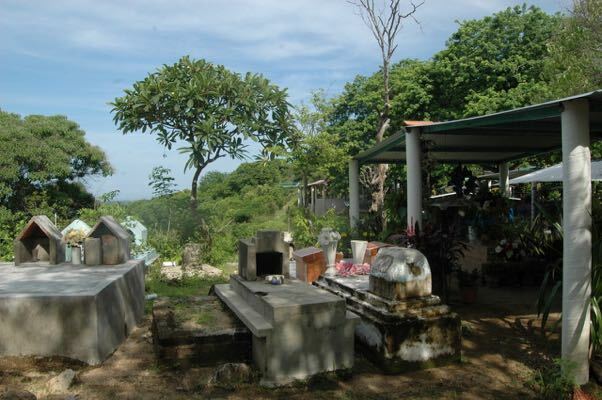 I, like some other long-term foreign residents of Puerto, will be buried in the cemetery in the Barra de Colotepec. In the movie version of my passing, my son will have flown here from San Francisco in time to hold my hand as I breathe my last breath. Then he will sign the death certificate, having his passport and mine at hand, and be at my grave within less than 24 hours. Plan B, I have given a friend power-of-attorney, witnessed by a notary, for my remains and to administer my property until my son arrives. A long-time foreign resident of Puerto died from a bee sting this year, but because they were not legally married, her partner could not handle the funeral arrangements. The embassy first had to contact her next-of-kin. 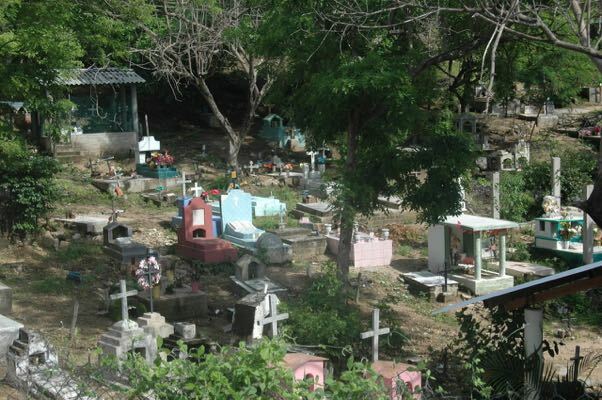 There are no burial societies in Puerto as there are in the U.S. Here your family is expected to raise the cash. However, you can make arrangements and pay the funeral home before you take your leave. This is an option chosen by some foreigners with terminal diseases. Speaking of sick people, some ex-pats prefer to go the alternative medicine route, instead of seeking treatment from licensed doctors. Not a good idea for when you die and you need your doctor to sign the certificate. This year a dear friend died in the local hospital a few hours after arrival. He had been very ill for months, but he had not seen a licensed physician. So, his body was immediately whisked away by the authorities for an autopsy to rule out foul-play, and his widow had to make a declaration at the prosecutor’s office before he could be cremated. 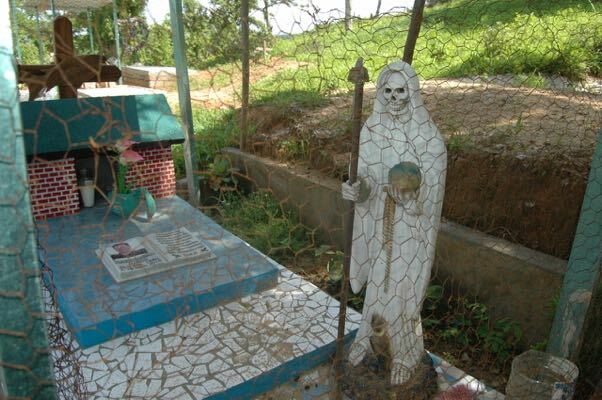 Back in 2013 when I did an article on When a Foreigner Dies in Puerto, there were only two mortuaries in town. Now there are three. The oldest and most economical (remember the body in a bag?) is Funerales Alcalá just off the Rinconada next to the hotel Xaiba. 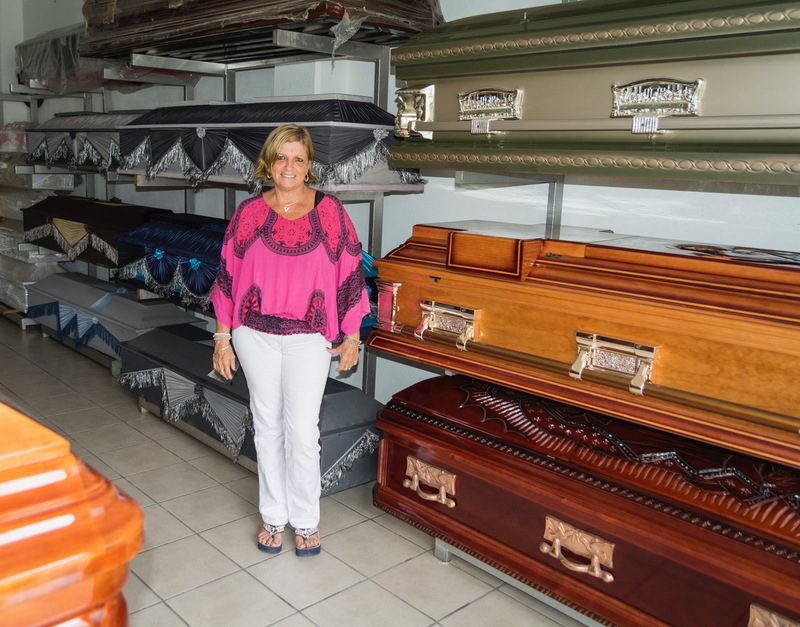 Before Juan Carlos Alcalá Gopar and his wife Catalina Patiño opened their funeral parlor in 1972, coffins were hand made by local carpenters. (Puerto had just under 3,500 residents back then.) 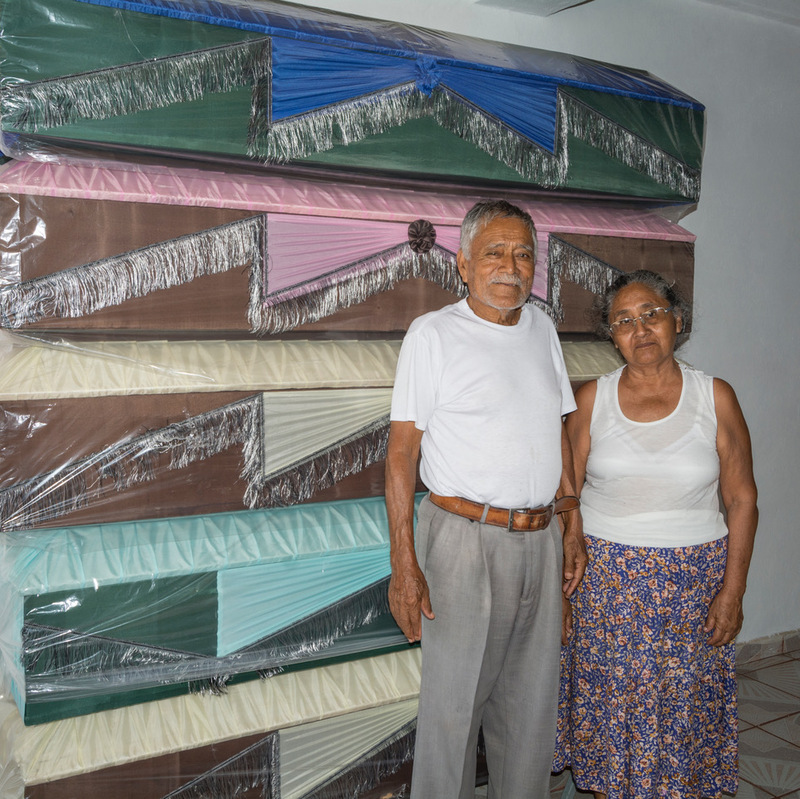 The coffins at Funerales Alcalá were manufactured in Oaxaca, a sign of the town’s growing prosperity. Now, the mortuary’s rustic simplicity seems like a throwback to earlier times. When Armando Carreño and his wife Victoria Eugenia Martínez Iturribarría took over Funerales Diaz in 1990, the population had reached 8,000. In 2014, it moved to its present location on Highway 200 next to the Volkswagen showroom. Among other amenities, like air conditioning and new hearses, it features a chapel for funeral services. It is by far the favorite funeral parlor for foreigners. It is also the most costly. Don Armando passed away in 2014, but his widow keeps the business running. Funerales Martínez, located next to the public hospital in the Parota neighborhood, opened in 2014 and is managed by Noe De La Cruz who got his start working at Funerales Diaz. It doesn’t have a chapel but it does have a hammock. Which is to say that the showroom is large and the atmosphere unpretentious. If you want to be cremated, your body will be put in a coffin and the price, with the cheapest coffin, is close to that of Funerales Diaz. When asked why he did not offer the cheaper, body-in-a-bag option, Noe was shocked. He said the road to Oaxaca is full of twists and turns and you wouldn’t the body to move this way and that as if it were a dead animal. Hmm, something to consider. 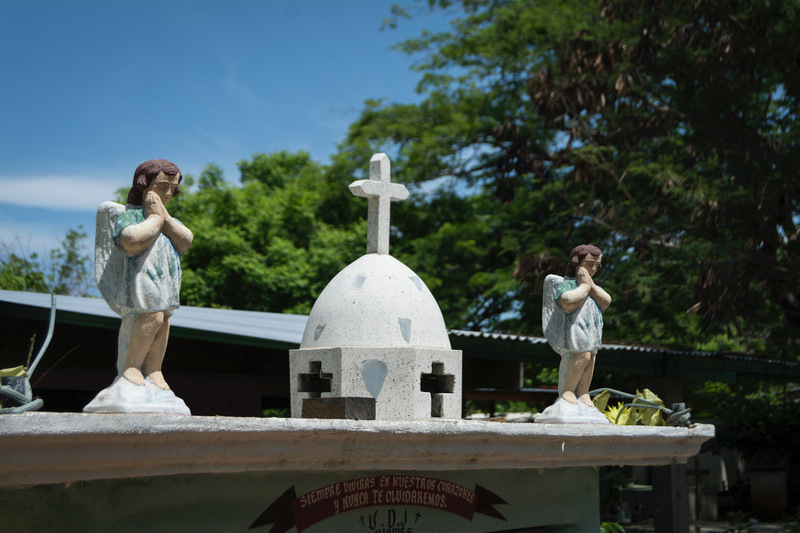 The vast majority of foreigners who die in Puerto are cremated and many have their ashes sent back to their home countries. All the funeral parlors have experience with this. Prices. We asked each funeral parlor for its cheapest rates. Of course, when your loved one passes you will be shown coffins a great deal more expensive. Just like when you go shopping for anything. 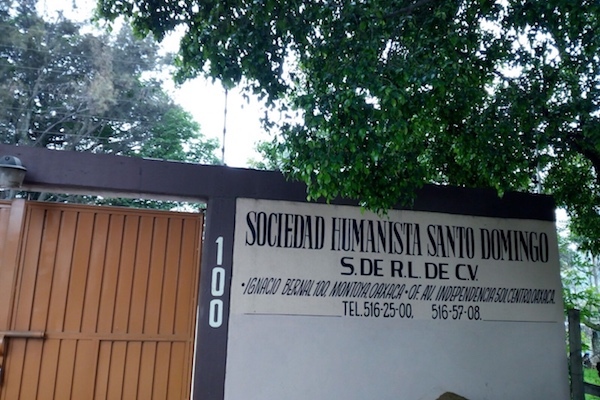 Cremation: $9,000 at the crematorium in Oaxaca City. 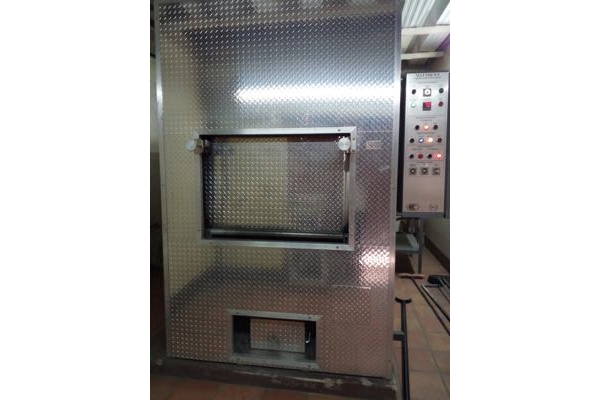 There is a new crematorium in Juchitán, but all the funeral homes in Puerto use the Oaxaca facility. Add to that the mortuary’s fees including coffin, transportation, ashes in a box, and paperwork. These are the lowest rates, including the cremation, offered at each mortuary as of May, 2017. Burial: A simple pine box with no ornamentation and burial in a Colotepec cemetery will cost you this as of May, 2017. The price includes notifying the embassy and other paperwork. Funerales Díaz: 8,000 pesos (3,800 for the coffin and 4,200 for the burial). Power of Attorney: If the next-of-kin is not in Puerto, unless the deceased had given someone power of attorney for his or her remains, the body will be embalmed and held until the embassy contacts that person and notarized instructions and payments are made. The death certificate will also be held up, which means heirs will not be able to collect insurance, etc. Funerales Díaz and Funerales Mártinez are very strict about this. 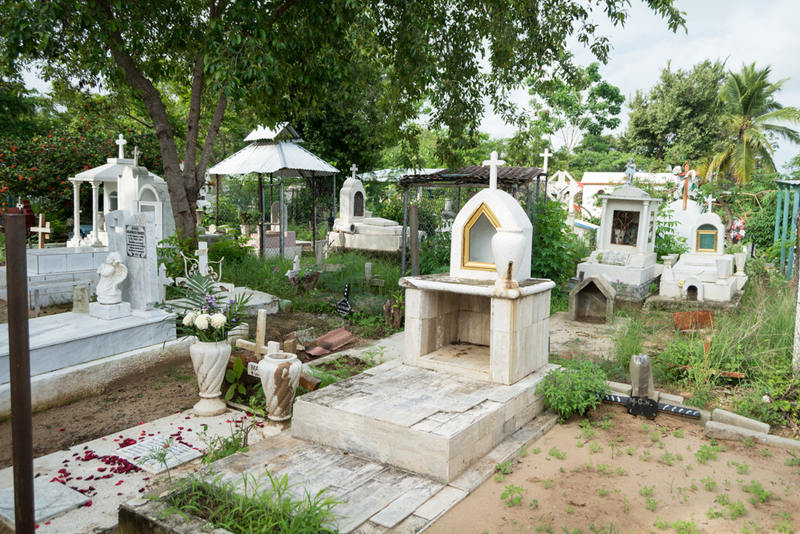 Funerales Alcalá, however, only requires the passport of the deceased and the passport of the person paying the bills. First you must: If death occurs outside of a hospital, you must IMMEDIATELY call the doctor. Do NOT call an ambulance (that will lead to more complications). Then call the funeral home, it will pick up the body and get the death certificate (certificado de defunción) from the Civil Registry for the doctor to fill out. The funeral home will then bring the signed certificate back to the Civil Registry where it will be stamped. The funeral home will then send the original by courier service to the embassy. 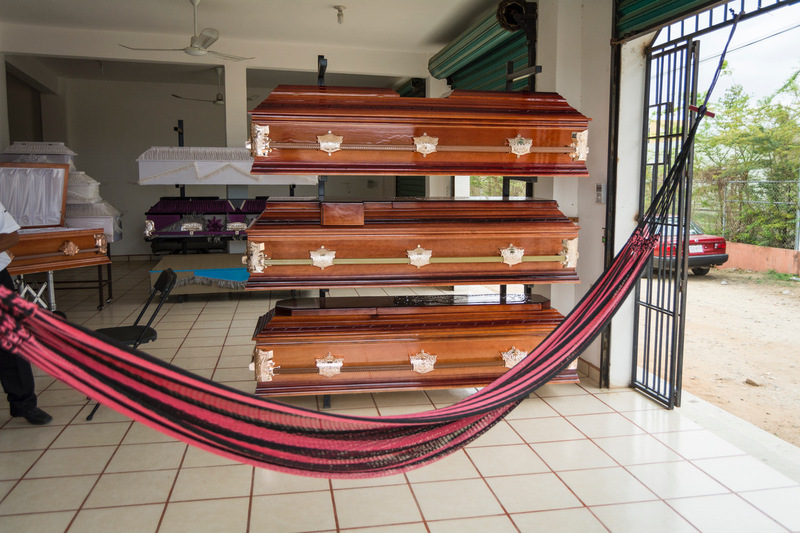 When there is a death among the local Mexican community, the custom is to hold a wake in the family home, with a brass band, and then bury the body the next day following the funeral mass. A band also plays at the grave side. Members of the community donate money to help cover the costs. Typically, the only contact most locals have with a funeral parlor is the purchase of the coffin.